Small cap stocks have significantly underperformed large cap stocks recently. Yesterday, I demonstrated that this divergence tells you that the bull market’s top is probably 1 year away. However, this divergence typically means that the bull market’s rally still has some room left (e.g. approximately 6-12 months). As we all know, the stock market can go up a lot during the final 6-12 months of its bull market. 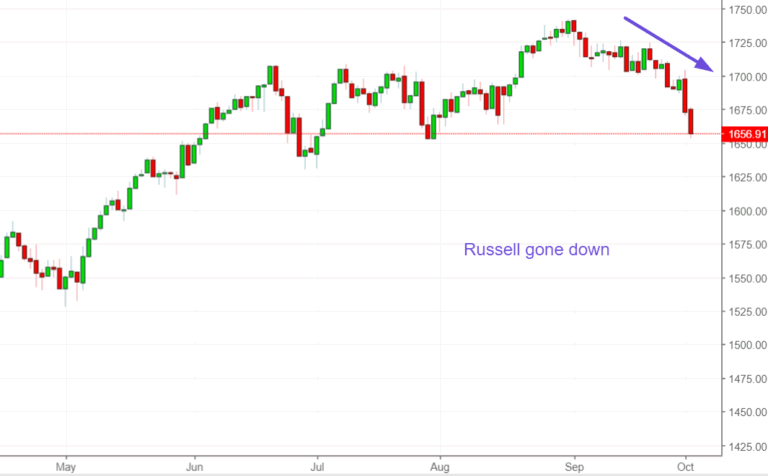 These 2 charts demonstrate the Russell 2000’s divergence vs. the Dow over the past few days. We can look at this divergence from various angles. The Dow has gone up 2 days in a row to an all-time high while the Russell fell 2 days in a row. 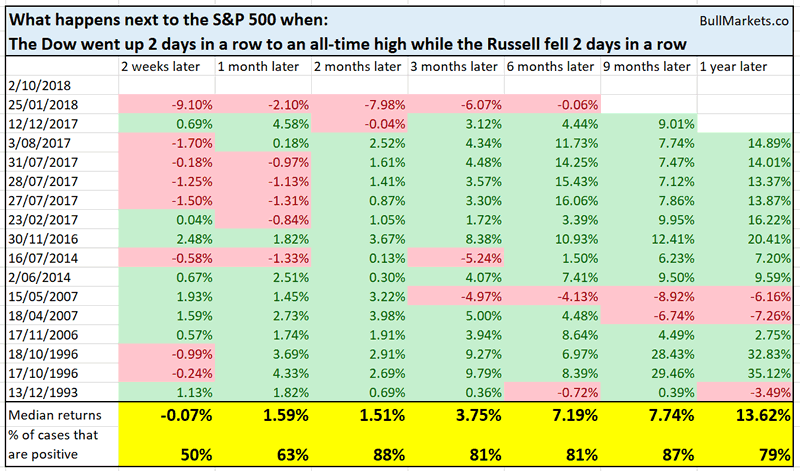 Historically, the U.S. stock market’s 2-6 month forward returns have been bullish. 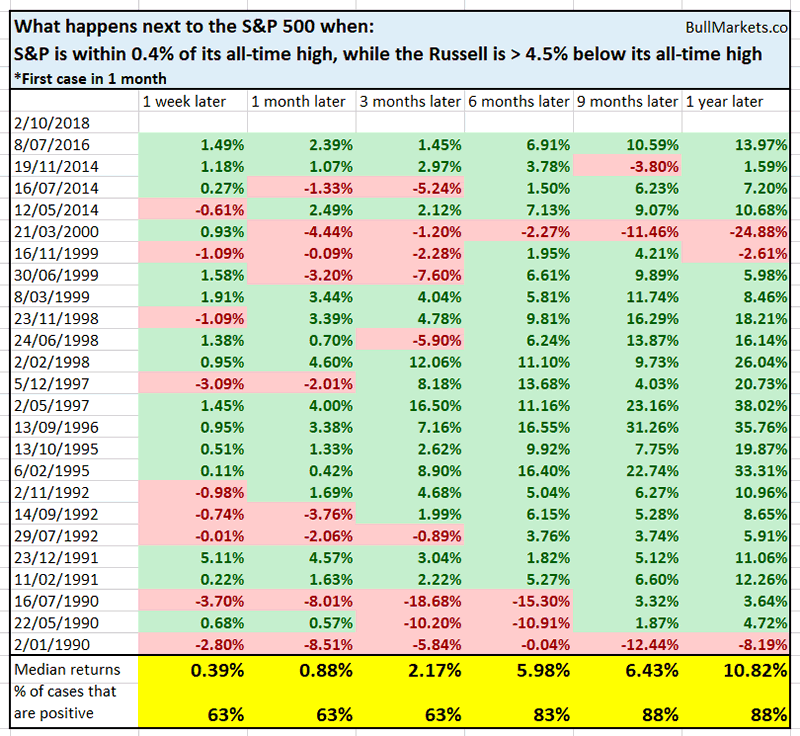 The S&P is now within 0.4% of its all-time high while the Russell is >4.5% below its all-time high. Historically, the U.S. stock market’s 6-12 month forward returns have been bullish. 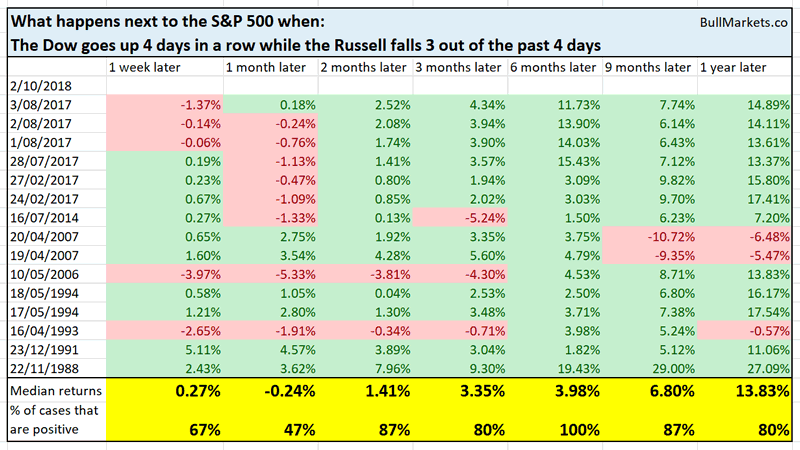 And lastly, the Dow has gone up 4 days in a row while the Russell has fallen 3 out of the past 4 days. Once again, the U.S. stock market’s 6-12 month forward returns have been bullish. Lately, our market studies have been a little more mixed than during the first 8 months of this year. We have some bullish studies and some bearish studies for the U.S. stock market. 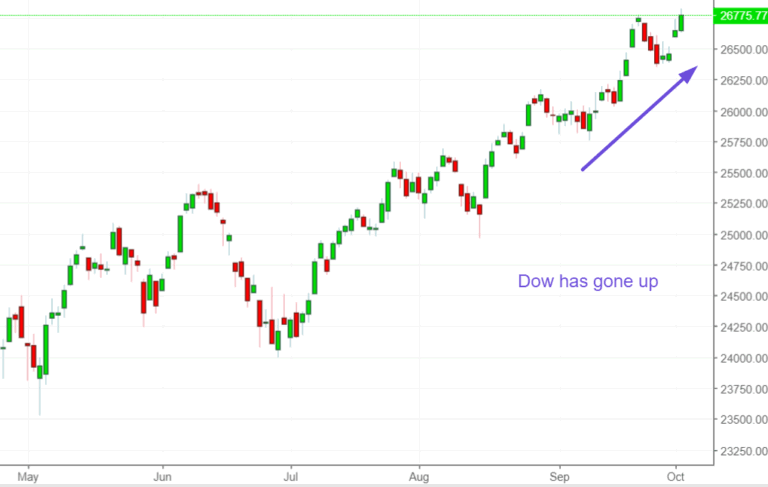 Bull market rally into 2019, and a major top somewhere in mid-2019. This is similar to projections from the Medium-Long Term Model and the Long Term Risk Model.